There are plenty of reasons why General Motors found itself staring down the barrel of bankruptcy a decade ago, but one of the biggest is simple. Ten years ago, they didn’t make cars like the Cruze. I just spent a week driving Chevrolet’s latest compact car, and it’s such an impressive machine that I’m convinced it could have saved GM’s bacon if they’d just built it earlier. For its price class, it’s as quiet, smooth riding and well constructed as any Honda, Toyota or Nissan, something you couldn’t say about small Chevys back in those dark days. Today, with low gas prices and a relatively stable economy, large trucks, crossovers and SUVs are the major profit drivers for American car companies. Still, I could easily see a dramatic spike in gas prices or a destabilized economy making small cars like the Cruze become the bread-and-butter moneymakers for Detroit down the road. For now, the Cruze is a great car for anyone living on a budget, and a hatchback version makes it all the more attractive. The first thing I noticed about my Cruze tester — a 2017 hatchback loaded up with all the options for around $27,000 — was just how quiet and smooth the driving feel is, particularly on the highway. Granted, part of that smoothness comes from the Z-link rear suspension that’s only available on the top-line Premiere trim level. Lower-priced versions don’t feel quite as supple, but the Z-link seems to work some magic with this chassis. It achieves a soft-but-controlled feel over pavement that’s rare in a small car, with the exception of a few pricey compacts from Mercedes or Audi. 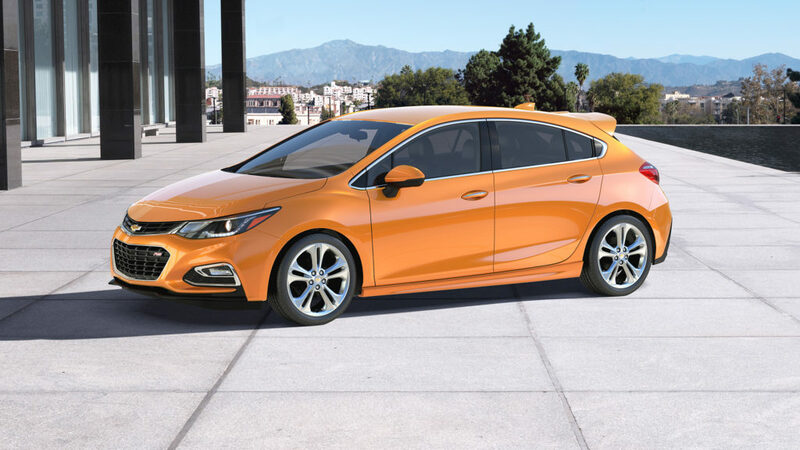 The Chevrolet Cruze is now available as a hatchback model that offers 47.2 cubic feet of cargo space. New for 2017, the hatchback version makes the Cruze more practical and sporty looking. It offers 47.2 cubic feet of cargo space in back, which is more than you get in some of the puny crossovers that are gaining in popularity these days, all while retaining the low center of gravity that makes small cars fun to toss in corners. 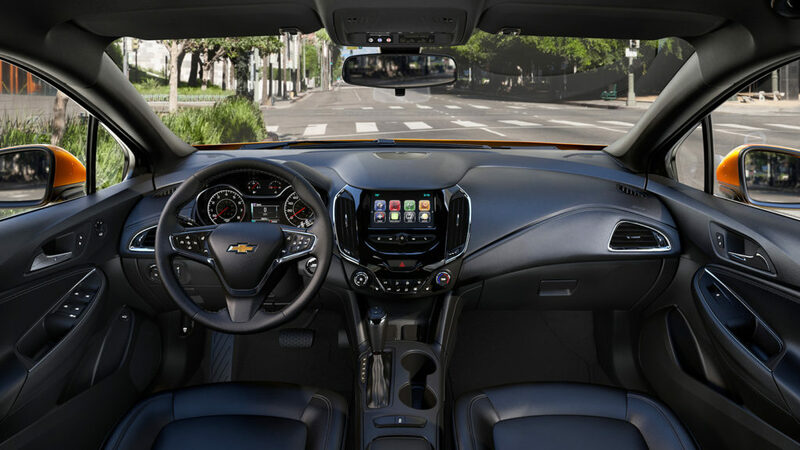 Teen Driver, another new feature on the Cruze this year, is meant for moms and dads who don’t want to give their kids too much slack in their leash. It lets parents review their teens’ driving habits, set controls and remind them to drive safely even if they’re not riding along in the passenger seat. Finally, a USB port was added to the back seat on the LT and some Premier trims to let passengers charge their mobile devices this year. I hope every carmaker will follow suit. The Cruze comes with a 1.4-liter turbocharged engine that can scoot it from 0-60 mph in a respectable 7.7 seconds. Unfortunately, that’s the only engine available. I’d be happier if they offered a less powerful version for fuel misers and a more powerful, souped-up, tire-squealing version for the small number of crazy people who want that sort of thing — people like me. I’d love to see Chevy join in the game with the Ford Focus ST and Honda Civic Si. For now, the 1.4-liter is a great choice for the sane masses. One strong selling point of the Cruze is its back seat, which feels roomier than most compacts. I had to double-check that this isn’t technically a mid-size car, but no, the EPA indeed labels it as a compact. Fuel economy is good considering its size and power, rated at 28 mpg in the city and 37 on the highway. Some competitors hit over 40 on their highway numbers, but they typically sacrifice some performance or roominess to get there. The Cruze has an attractive, solid feeling cabin with generous space for its class, particularly the leg and knee room in the back seat. Finally, there’s the feature set that I think ought to come standard on every car made today: Apple CarPlay and Android Auto. While those brilliant phone connection systems weren’t available on the almost-$50,000 Lexus I wrote about last week, they’re available on this Chevrolet. Pricing starts at $16,975 for the Cruze sedan and $21,615 for the hatchback, which comes with more standard equipment than the base sedan. It’s a quiet, smooth riding, well-built compact car from Chevrolet. It offers a lot of content and surprising level of sophistication for the money.